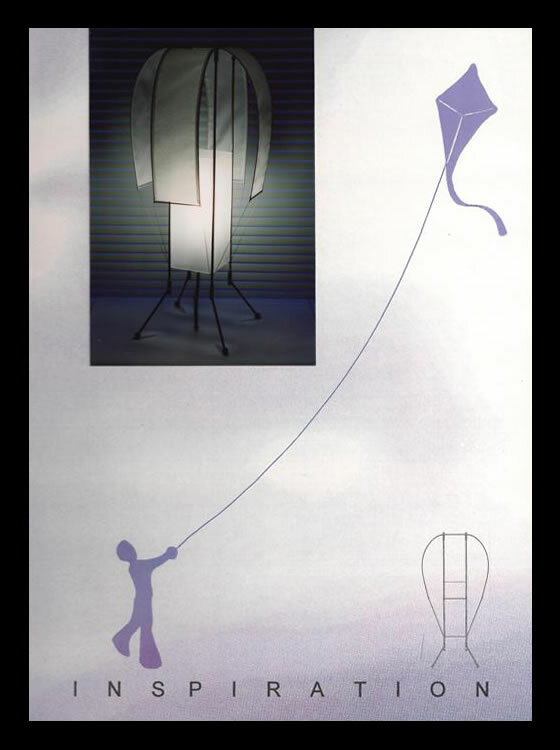 A design developed through an inspiration found in both form and materials used in kite construction. The Kite Lite's opaque fabric panel structure radiates a brilliant glow and produces a cool ambiance. It's design utilizes the concept of tension, inherent in kite construction, to enhance it's structure and visual interest.